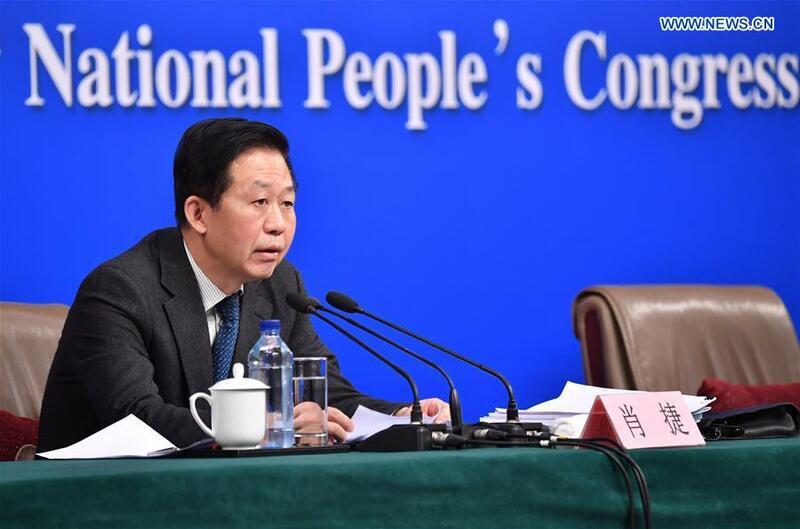 As China's biggest political season -- the "two sessions" -- continue, the country's Finance Minister Xiao Jie has briefed the media on China’s fiscal and taxation policies. One focus for China's financial work in 2017 is to reduce taxes and fees. Xiao said the deficit-to-GDP ratio of 3 percent set in the government work report and this year's financial budget report is positive. The ministry estimated the financial deficit will increase by about 200 billion yuan this year. He said this amount could support the tax reduction policy and meet spending demands in key areas. The minister also responded to a question on China's local government debt, clarifying that the level of the debt is not risky, but under control. Xiao said the government can continue to issue bonds. "China's central and local government debt balance stood at 27.33 trillion yuan as of last year. According to data from the National Bureau of Statistics, the debt to GDP ratio was only 36.7 percent. Compared to international levels, we could say that the Chinese government still has room to borrow more to finance projects. To rein in debt risk, we have established a series of systems including the emergency response mechanism. Meanwhile,we will continue issuing local government bonds to meet the financing demands of local governments and lower financing cost," he said.